After spending several years developing my own theory as to what’s wrong with the world, often flip-flopping back and forth between different schools of thought, there has been one theme in particular that constantly stands out as quite possibly the root cause of all the dysfunction. It seems pretty clear to me and a growing number of individuals that the ever-increasing tiptoe of society towards power centralization is at the root of most of the world’s problems. 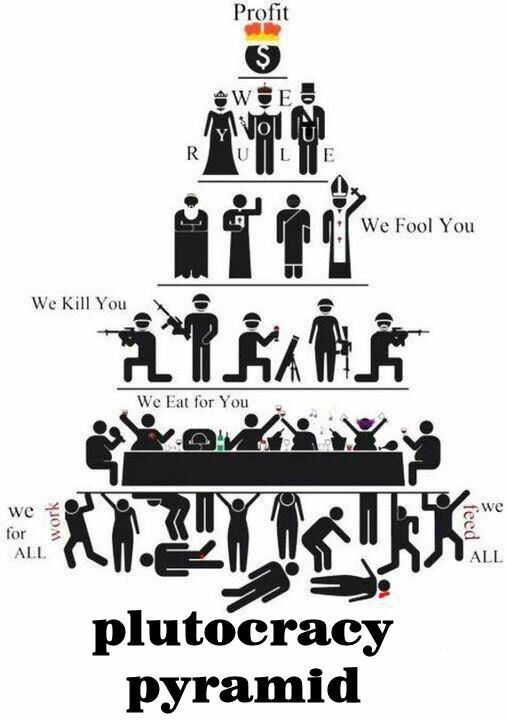 If one is to look at almost any type of market, whether it’s banking, government, media, big business, or even culture, everything is falling under centralized control; meaning society is becoming increasingly controlled by fewer people and fewer institutions. Another way to think about it would be the idea that fewer are gaining control over a larger group of people, hence the idea of a New World Order, where a small global network exercises jurisdiction over a large percentage of the world’s functions. It seems we have evolved from tribes, to towns, to cities, to states, to nations, and now to a one-world-system. This concept is discussed in-depth in a previous article. While having a globalized world of people who are interconnected isn’t necessarily a bad thing, and in fact could be considered healthy for growth as a species, one has to wonder whether having a centralized design to society is healthy not only for humans, but the entirety of life on this planet. Yet, is it really ideal for everyone to fall under the umbrella of one system, when the world as we know it is so incredibly diverse? , brilliantly pointed out, having too much power in one spot naturally breeds corruption, especially if that throne has the power to impact the world at large. With that in mind, the obvious antidote to this predicament would be decentralization of power, aka more power being placed into the hands of more people. It’s basically like going from a singular society, controlled by a few select elite, to a multifaceted society controlled by its people, with everyone having the ability to control their own destiny. 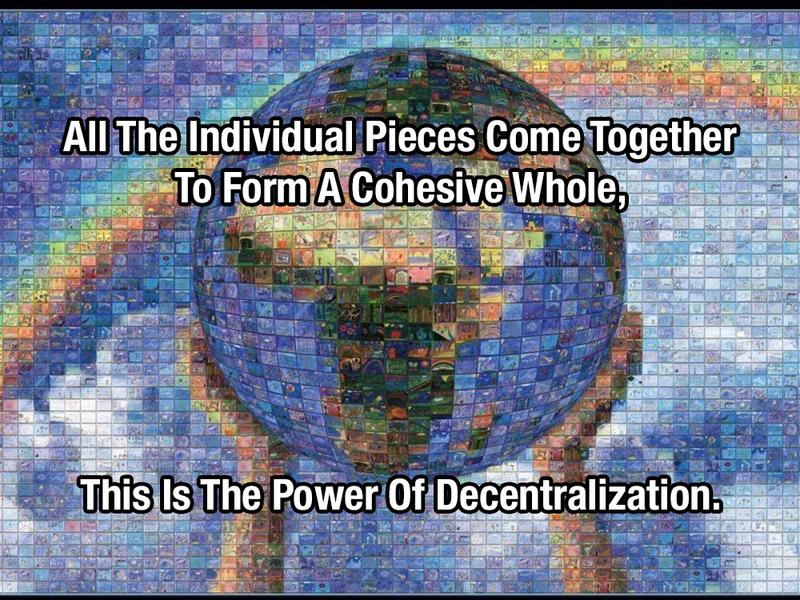 Fortunately, there is an ever-increasing amount of people who are catching on to this trend towards centralization, hence the popular meme “the 1% vs. the 99%.” As a result, those awake have begun to feverishly work on ways to decentralize power and give opportunities to the disenfranchised citizens of the world, so that they can become their own compasses and leaders in life. Power is beginning to shift. Before the world got introduced to Blockchain technologies, there were many pioneers in the move toward decentralization that rose up and paved the way. Some people refer to these pioneers as part of the peer-to-peer economy, collaborative economy, sharing economy, or just simply the people’s economy. Whatever name you want to go with, the basic premise is facilitating ways in which people can interact directly with each other, hence the name peer-to-peer, instead of relying on third parties or middlemen to conduct transactions through. It cuts out unnecessary legislation, which cuts costs on both sides of the transaction. Most people, without even realizing it, are already familiar with many of these businesses/institutions. Some of the most recognized ones today include: eBay, a peer-to-peer e-commerce platform; craigslist, a peer-to-peer classifieds/trading platform; Uber, a peer-to-peer transportation platform, Airbnb, a peer-to-peer hotel platform, Kickstarter, a peer-to-peer capital-raising platform, and many others not mentioned. 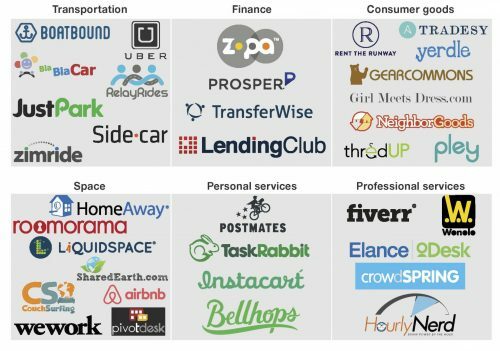 It’s not just these companies alone that have laid the foundation for the peer-to-peer economy either. It’s also the explosion of farmers markets all over the world, the build-up of worker co-ops, which allows workers to directly own the company, and it’s peer-to-peer file sharing and communication through the use of the Internet; arguably the greatest tool in the history of mankind with the unprecedented ability to decentralize the control of information and ideas all over the world. Never in our known history have people been able to interact with each other directly and instantaneously, without the need for any type of institution to help facilitate it. The Internet is an ever-expanding reservoir of knowledge, and by far the biggest reason for this shift towards decentralization. All of these platforms have been paramount in the shift towards a decentralized social and economic model within society. However, like all fields, innovation can lead to new ideas that take everything within that space to new heights. In this case, blockchain technology is that innovation; and has the ability to totally revolutionize the way we structure a decentralized society. In many ways, blockchain is the next layer to be placed upon the Internet, hence the name “Internet 3.0.” Blockchain has the potential to be the future foundation of the peer-to-peer economy. Blockchain technology was the next logical step after the Internet in the progression towards a world owned by the people. 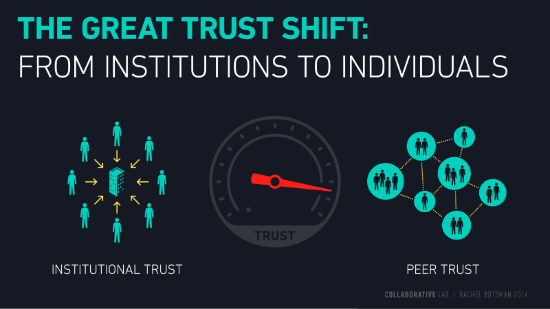 What is so transformational about Blockchain technology is that it allows people to build collectives without the need to live close by, trust each other, or put in place some form of highly centralized control. Essentially, it’s allowing people to form new economic and governmental systems through the use of open source mathematical algorithms (blockchains) that represent the structural framework of how the businesses and organizations function. It also gives people the capacity to interact directly with each other all over the world, rather than go through unnecessary middlemen or regulators, who often take cuts along the way and require that people put trust in them. Blockchain makes everyone their own bank and gives people their own voice within collective systems. One of the other major areas Blockchain aims to solve is that of money, which happens to be one of the biggest problems facing humanity. It’s not necessarily money itself that is the problem, because money is nothing more than a representation of value that makes trading in collectives easier, but it’s the distorted value of money and the lack of alternatives, which has brought about tons of negative ramifications on prices. Simply put, the exchange of value all over the world has become skewed. Basically, some people are getting more value then they should from trades, while others are getting less value then they should from trading. Many energy inputs don’t match the economic/monetary outputs, which undoubtedly creates tension amongst people and societies. Blockchain is attempting to solve these problems by propping up new, open source currencies, giving power to individuals to control their own transfer of value, and allowing decentralized groups the ability to operate without central controllers. Blockchain technology could become the new legal structure of the Internet, where no throne is needed to watch over and dictate. 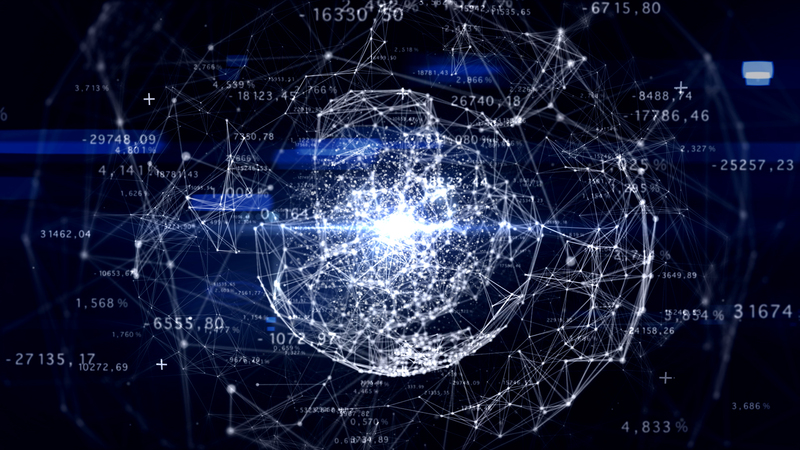 For better or for worse, it could be the backbone for the Internet of Things. To help those unfamiliar with the blockchain space or advance the understanding of those already acquainted, I wanted to introduce eight blockchain companies that are already laying claim in this new space. The foundation of a new paradigm is literally taking shape right before our very eyes, so I suggest people wake up and start to pay attention if they want to ride this wave before the rest jump on board. Note: This is not an endorsement of any of these products/companies. Many have strong competitors and their own legitimate hurdles to climb before they are anything but a passing fad. Do your own research and come to your own conclusions. 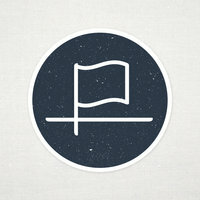 This is just to introduce people to some of the ideas and businesses being floated around in the space. There are many more important ones either not mentioned or that have slipped past my limited time and knowledge base. There is literally something new happening everyday in this space, so it’s impossible for any one person to have their mind fully wrapped around it. It’s impossible to mention the realm of blockchain without mentioning Bitcoin, the first successful application of such a technology. Bitcoin is not only a pioneer in blockchain technology, but it’s the first successful crypto-currency. I would liken Bitcoin’s niche in the decentralized economy to being primarily a payment system and currency, which allows people from all over the world to financially transact with each other directly and cheaply, without the need for third party intermediaries, taxes, or legislation at the borders. It really is the first digital currency of the world that allows people to freely move value amongst one another peer-to-peer. 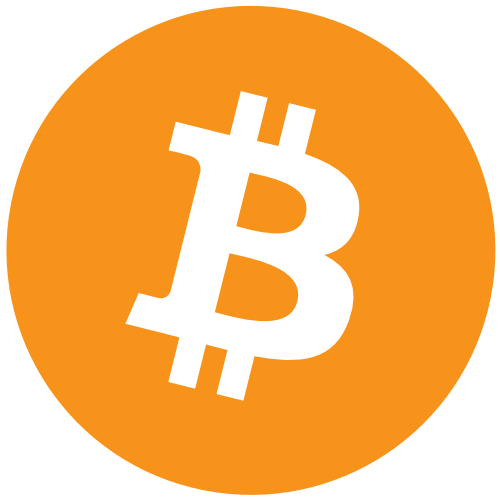 In many ways, Bitcoin is like the gold of the crypto-currency space because it is both secure, limited in supply, and has the longest track record of success. Given this comparison to gold, Bitcoin is kind of like the weight that everything is tied down to within the space. Though it’s still young at only seven years in existence, it has given the entire blockchain space credibility and is one of the biggest catalysts behind a potential explosion in the decentralized economy. While it has serious infighting issues about how to scale that it must resolve before competitors capitalize, it’s pretty reasonable to assume that Bitcoin isn’t going anywhere in the near future if it can resolve its difference and come to together as a community. Launched just over a year ago, Ethereum has taken blockchain technology to the next level through the use of smart contracts, which allow contracts to be programmed into the blockchain. This ability to create self-executing contracts on the Ethereum blockchain, has given rise to the formation of decentralized autonomous organizations (DAO’s), which are basically decentralized organizations of people who come together around a common goal, yet are bound together through the contract they all agreed to. In the simplest sense, the open source smart contracts that are programmed into the blockchain act as the legal framework for the business structure. Since they are self-executing, there is no need for middlemen and legislation to interpret or act as agents of trust in the transfer of value. There is sometimes no need for a central business or authority to exist at all since the smart contract is the business itself and nothing more than a program. There are so many use cases for Ethereum, like developing decentralized voting structures, creating online databases for wills and land contracts, or even creating digital locks for all types of content and services. Ethereum has already risen to number two in market cap amongst crypto-currencies and offers great flexibility for developers to build upon. However, it’s still very early in its growth process and very much still recovering from its mini-venture capital fund, The DAO, being hacked, which resulted in the Ethereum blockchain being hardforked into two. 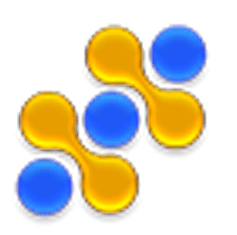 Nonetheless, it has shown great promise in terms of design and has the very real possibility of becoming the perfect open source platform for building all types of decentralized autonomous organizations upon. 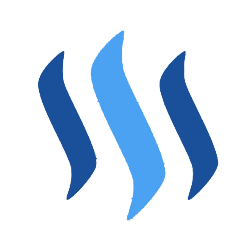 Only released just a few months ago, Steemit has become the first social media platform to be built upon the blockchain. What has blockchain community buzzing so far is that Steemit appears to have found a way to monetize social media, whether it’s by paying the posters of content or rewarding the curators of content. Essentially, Steemit is a social media platform (especially blogging) that users can get paid for using, unlike Facebook and Reddit where people post and curate content for free. There also seems to be no censorship or central control on the platform, which is a huge plus for many in the alternative media and liberty movements who are desperate for a way to escape the heavy censorship/demonetization coming down the pipeline through many of the major social media outlets. Steemit is built upon a Graphene blockchain, which allows it to handle thousands of transactions a second. It has also become a great space for those open-minded individuals to not only share ideas, but to make a little money from it. Its popularity has grown so fast in a few months that it’s already up to the number four spot in terms of market cap among crypto-currencies. However, Steemit is still in Beta and there are many questions that need to be addressed, such as how it will maintain value in the long-term. Despite the fact, Steemit has sparked an idea in the community, that we the people can profit from our own social media, as well as find ways to keep it open and free. If Steemit can successfully blossom into a widely used platform with good content, then it has the potential to capitalize on this new form of social media. Whether people like it or not, the derivatives market is here to stay and very much an important part of the financial system. Businesses need to lock in costs ahead of time in order to stay on budget, so a derivatives market has been created to provide businesses with the financial flexibility they need to maintain budgets without affecting their cash flow. 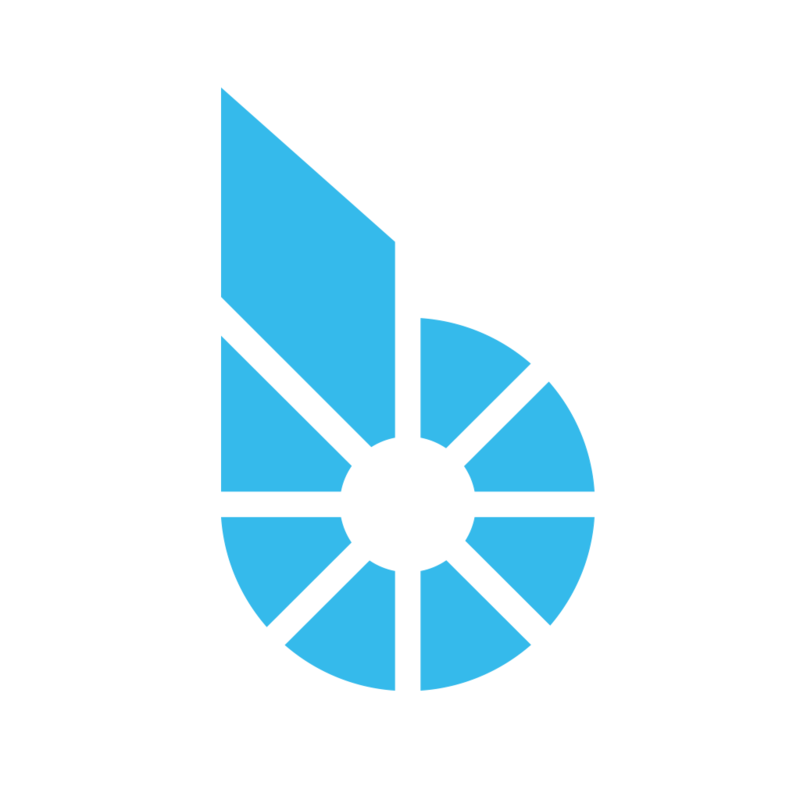 With crypto-currencies being volatile due to the relative newness of the space, Bitshares has developed Bitassets to allow companies to hedge against this volatility by entering into derivatives contracts for crypto-currencies. As a result, companies who may deem Bitcoin too risky to hold on their balance sheets can now purchase derivative contracts to hedge against price volatility, giving them greater financial flexibility to maintain tight budgets. While Bitshares is very new and started off a bit slow, this kind of idea is essential to the crypto-space. Price volatility is one of the major hurdles keeping companies from holding crypto-currencies in their portfolios, so bringing in price stabilizing derivatives to bridge the gap between mainstream finance and the crypto-space is fundamental to its growth. Bitshares also has the ability to stomp out a lot of corruption that takes place in the derivatives markets by reducing the credit limits and decentralizing losses. Bitshares has the potential to carve out a niche market in derivatives, but it will be interesting to see how it and Ethereum interact with each other, given they both specialize in smart contracts and use/plan to use a Graphene blockchain. Ideally, they both will carve out areas of value. Many people are now aware of Uber, and recognize fairly easily just how powerful it has been in challenging the current paradigm of the taxi market. It’s true that Uber has done many great things in terms of providing employees with more money and customers with lower prices. However, a new wave of competition is set to hit the scene called Arcade City, which is built upon the Ethereum blockchain. Essentially, Arcade City is fairly similar to Uber in that is pairs drivers with riders, but unlike Uber, Arcade City is based on blockchain, which cuts costs tremendously on both sides of the transaction. Blockchain allows drivers greater autonomy to set their own prices, accept many forms of payment, and take home more profits, as Arcade City takes little to no cuts along the way. With many starting to realize the increasing costs being tacked on by Uber, Arcade City is poised to capitalize on this trend if it can bypass many of the legal battles it currently faces and will continue to face. 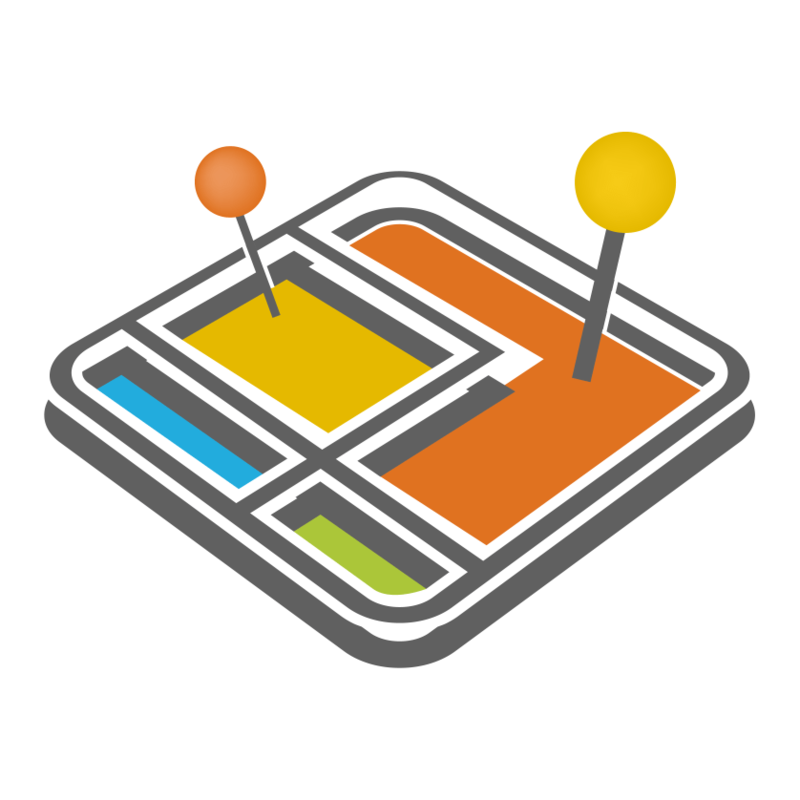 The app’s global launch is September 1, 2016, so it’s going to be a company to watch very closely moving forward. Someone will capitalize on this market. 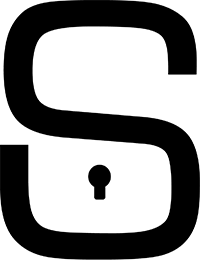 Slock.it is another technology built upon the Ethereum blockchain, which is essentially a smart contract company that will specialize in digital locks. For example, Airbnb could be completely automated through the use of Slock.it, or renting a bike could be completely automated through Slock.it, or even Wi-Fi routers could be rented out and automated through Slock.it. Basically, it allows you to rent, share, sell, or share just about anything without any middlemen. It really has a niche for facilitating the P2P sharing economy, without any central management of it. However, it will be interesting to see how Slock.it will recover from the recent hack of The DAO, being that some in the community are quite unhappy with them for producing sloppy coding, which they claim is partially to blame for the theft. This could lead to competitors like ConsenSys coming in and taking over the platform. One thing is for certain: The use of digital locks in the sharing economy is coming; it’s just a matter of who will step and deliver the vision. Logistics is an important part of the global economy, especially since products are moving all over the world at all times of the day. So it would only make sense that blockchain technology would revolutionize the logistics space. According to their website, “Provenance is a platform that empowers brands to take steps toward greater transparency by tracing the origins and histories of products,” all through the use of blockchain. The story/origin of the product can follow the product anywhere online, giving buyers and sellers more accurate information to conduct trade with. The real benefit of Provenance is that people can better understand where the products they want to buy are coming from. This is especially important for people who are conscious of certain ethical criteria in products, such as who made it (slave labor? ), how it’s made (material), or the quality of it (organic/fresh). Provenance could provide a database for certificates that authenticate products as well as give consumers faith in companies. Provenance is still in its early stages of testing, but it’s already clear the tracking items all over the world through blockchain will become a reality in the future. Finally, the blockchain space wouldn’t be complete without a spot for e-sports and betting. According to its website, “Peerplays is the worlds first decentralized tournament management and wagering platform built entirely on the blockchain.” What’s enticing about Peerplays is that there is no house, meaning the odds are not skewed towards the house. Instead, those on the system develop the structures of the games and how their rewards are to be given out. 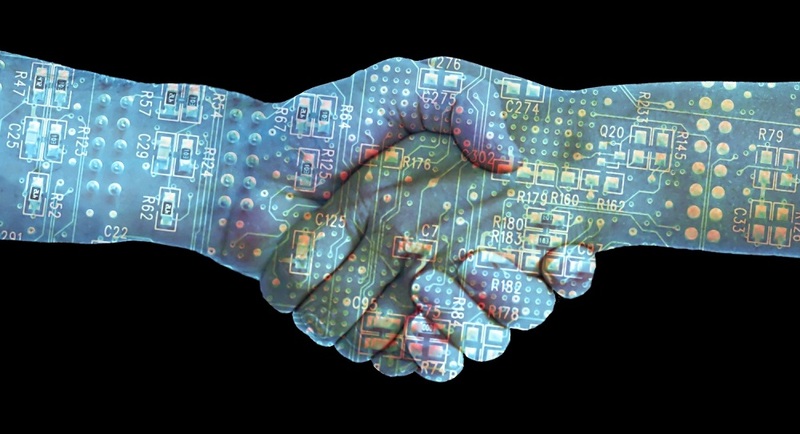 The blockchain simply holds the funds in escrow and divvies them out according to the smart contracts programmed in. Peerplays has the ability to take over fantasy sports leagues, online gambling like poker, online gaming (like Counterstrike, Dota, Fifa) and really any type of game people decide to create. Also supporting a grapheme blockchain, Peerplays can handle thousands of transactions per second. While Peerplays has many hurdles to climb just like the others, it’s clear that gaming will become fully integrated by blockchain technology in the foreseeable future, especially since it already takes place online. Why pay middlemen when gaming peer-to-peer? Note: Other ideas to check out include: Monero, Enigma, Waves, Ripple, Litecoin, Dash, Namecoin, IPFS, OpenBazaar, Bitfury, and many more I didn’t list. As you can see from the hefty list of blockchain technologies entering the space (yet small compared to the overall picture), the entire economy could very well become connected to a blockchain in one way or another. It seems to me that nothing is safe, and given more time for the technology to grow and our knowledge of it to expand, it really appears to be the future of global economies and social structures. 1. Scaling – In order to handle a complex global economy with millions of different transactions. All four of these barriers are major threats to everyone in the space and many questions surrounding them will need to be answered as we move forward. There is no way to sugarcoat it; until we conquer these barriers, there will not be enough use cases to point to for mainstream society to decide and adopt blockchain on a larger scale. However, despite the numerous problems, blockchain taking over seems an inevitability as more people wake up. The transition will be very bumpy, and even downright nauseous for some who are strongly attached to the old ways of doing things, but the old paradigm cannot go on and will not go on. All systems become obsolete and must give way to bigger and better things. This is how the free market is supposed to exist. The Internet gave us the age of information, which has led people on a path of pattern analysis and self-empowerment. As people become empowered, they inevitably want more control over the value they produce and how it’s exchanged within society. It seems now that blockchain is one of those revolutionary technologies’ that is going to give people the power they desire to be the boss of their own economic activity and create a truly decentralized economy of peer-to-peer activity. There may come a point where we don’t need institutions anymore, because we can all become our own self-economic engines. The only question now is whether you want to get involved and help it manifest or you want to sit on the sidelines and watch it play out. I would suggest jumping in, because why wouldn’t you want to get involved with a game-changer as big as blockchain. Let’s change the world together and create a peer-to-peer economy to the benefit of us all. This is true freedom and real change that we don’t need a third-party to do for us. Good article. Did you imply that Ethereum is planning on using Graphene somehow? (See Bts summary towards end). What did you mean by this? I was thinking that Ethereum would switch to a graphene blockchain in order to handle huge transaction amounts, possibly when it switches over to proof of stake mining, or so they say they are making that switch eventually. Im looking more into it now and maybe i was actually mistaken on it. I thought that I have come across that and/or heard it in some of the videos from developers, but maybe I’m wrong though. I will try and look more into it. Like i said, I’m not perfect in this field so maybe I made a mistake on that line of thinking. If you have good info on it, please feel free to share. Thanks! Although Ethereum would benefit in ways technologically from switching to Graphene, realistically I do not think it will happen because they are perceived as direct competition. I suppose anything could happen though; this industry is often unpredictable and illogical. Perhaps a side chain will be developed between the two, before Ethereum undergoes such major surgery? Cheers and thanks again for the snapshot. Well, understanding exactly what and how blockchain works, its role in the criticality of power/money decentralization, and some excellent descriptions of real use cases and the advantages of the technology are all new to me. I’ve heard of them and done some limited research but most of it turns very technical very quickly, which is all fine and good unless you’re searching for the theory in practice that’s secured blockchain as a Thing – and I finally can see why the technology is often hyped as having “literally endless” applications, influence, and potential. Thank you so much for explaining this in a way 5hat I FINALLY and THOROUGHLY UNDERSTOOD and APPRECIATED. Much of this is due to your excellent writing skills and your commitment to authentic honest, respectful and thoughtful communication and openness. Can’t wait to read more of your work, and seriously, thank you so much for explaining this clearly and in a relevant context.